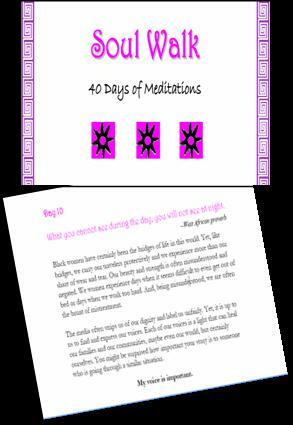 We are proud to offer you our first e-book by author and poet, Quinita Edmonia Good, Soul Walk-40 Days of Meditations. The 40-day cycle of purification and renewal is one that is subtly ingrained in our psyches: It rained on Noah and his family for 40 days and 40 nights; Moses and Elijah both fasted for 40 days. And Jesus was tempted by the devil with food after he had fasted for 40 nights and days in the desert. These meditations are not meant to mimic those epic journeys, but they are meant to lead you on a journey nonetheless. A journey of reflection, deep thinking, and renewal. As the author herself says, "It is my prayer that the sacred words and concepts in this book, combined with the power of 40 days, will elicit both self-determination and blessings in your life." Click to preview. . .
To order a copy of Soul Walk. . .
Quinita Edmonia Good is an award-winning journalist and a writer of fiction and non-fiction. She is the proud mother of one son and the grand-mother of a beautiful and much beloved granddaughter. Quinita is the principal of Qwrites: The Business of Writing, which provides mentoring and publishing services to writers. 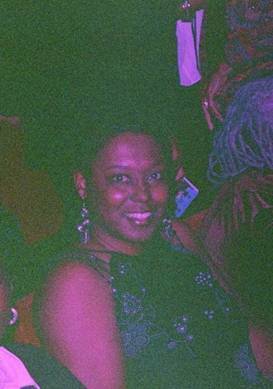 Quinita is a former staff writer for the West Orange Chronicle in New Jersey and the author of The Power of Spirit: A Devotional Promoting Mental Health. To reach Quinita, e-mail her at qwrites@hotmail.com.